2. 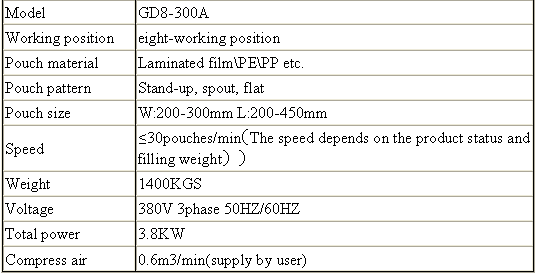 Frequency conversion adjusts the speed: this machine uses frequency conversion equipment, can be adjusted within the range according to the needs of reality in production. 5. Horizontal conveyer style to giving bag: it can put on more bags on the bag storage and have a low requirement about the quality of bags. 7. Use the plastic bearing; don`t need put on oil, less pollution. 8. Use no oil vacuum pump; avoid polluting the environment in the production. 10. Product or packing bag contact parts adopt stainless steel or other materials which accord with the food hygienic requirements, guarantee hygiene and security of the food. 11. With different feeders changed to pack solid, liquid, thick liquid, powder and so on. 12. The packing bag suits in extensive range, suit for multi-layer compound, monolayer PE,PP and so on Preformed bag made by film and paper. Looking for ideal Paste Rotary Packing Machine Manufacturer & supplier ? We have a wide selection at great prices to help you get creative. 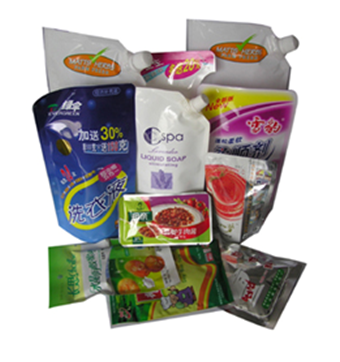 All the Pre-made Bag Paste Rotary Packing Machine are quality guaranteed. 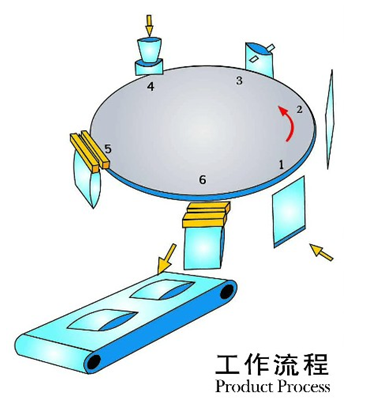 We are China Origin Factory of Paste Packing Machine. If you have any question, please feel free to contact us.